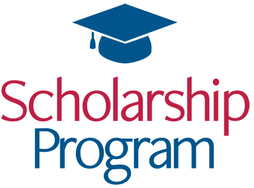 In alignment with OCA-NY’s organizational mission which is to advance the political, economic, and cultural well-being of Asian Pacific Americans in the United States, OCA-New York Chapter launches its second College Scholarship Program in August 2018. OCA-NY is offering the scholarship for aspiring future leaders in civic engagement, community service, and social activism. OCA-NY is looking to support and nurture applicants with clear academic and leadership credentials and a demonstrable history of community service and engagement. We encourage all students, regardless of race, ethnicity, or immigration status, to apply. The OCA-NY Scholarship Committee is responsible for reviewing and selecting recipients. Awardees will demonstrate a strong motivation for academic excellence, a dedication to community service, and a need for financial support of their education. Individuals who will be enrolling in an accredited college/university in U.S. may submit an application. Who is eligible: Any New York City resident who is enrolled in an accredited college/university in the U.S. are eligible. OCA-NY considers financial need, academic achievements, community service, leadership ability, and special circumstances. Applicant agrees to volunteer at an OCA-NY sponsored event or project, or write (3) articles to be included in the OCA-NY newsletter or blog posts on community building or civic engagement over one-year period. Scholarship award recipients will be recognized at the 2018 OCA-NY Community and Leadership Annual Gala on September 28, 2018. More details to come and we highly encourage awardees to attend.